The Arizona Diamondbacks receive Carson Kelly, Luke Weaver and Andy Young from the St. Louis Cardinals in exchange for Paul Goldschmidt. 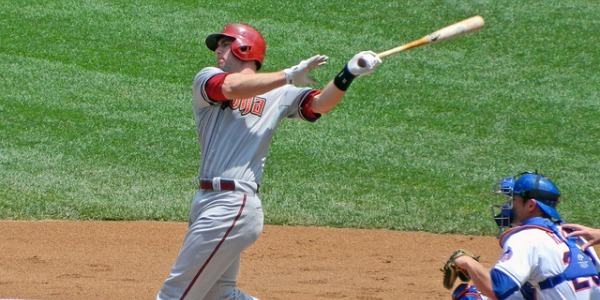 With the Diamondbacks losing AJ Pollock and Patrick Corbin to free agency (along with a few other lesser names), it was easy to justify trading away Goldschmidt to retool in a division with the powerhouse Dodgers, the Padres and their farm system and the always dangerous Giants and Rockies. Of course, trading away arguably the best first baseman in the game will raise a few eyebrows, but realistically the Diamondbacks weren’t going to be able to contend this year and Goldschmidt wasn’t going to sign an extension without crazy money being flashed in front of him. 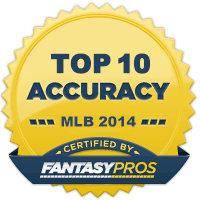 We’ll look at each player and the fantasy impact this move has, starting with Andy Young. With all due respect to Young, he’s the least fantasy relevant player in this trade. 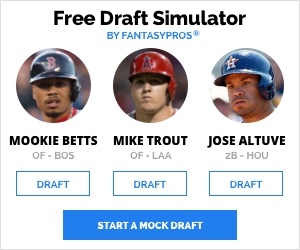 He’s projected to be a utility infielder at best and while Young has flashed some power in the minor leagues (41 homers in 289 minor league games), he won’t be someone to help your fantasy team. Carson Kelly will be name you’ll hear from quite a bit in drafts, mainly as the catcher position is so putrid in fantasy. Kelly was considered heir to Yadier Molina’s catching throne but their decision to move on was largely due to Molina signing an extension through 2020 and then turning back the clock in 2018. Kelly should start the year as Arizona’s starting catcher considering they ranked 29th in the MLB for WAR among catchers (-0.4). The trio of Alex Avila, John Ryan Murphy and Jeff Mathis all had 200+ plate appearances in 2018 so it shouldn’t have come as a surprise that the Diamondbacks were in the market for a new catcher. Kelly’s best asset is his work behind the plate, as he’s developed into one of the best defensive catchers in the minor leagues which will be enough for him to see regular playing time. 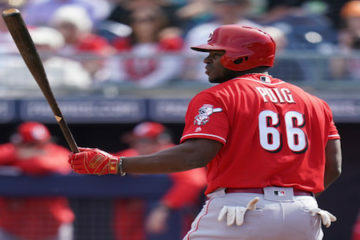 He’s dipped his toes into Major League waters three times, with only a .154 batting average over 131 plate appearances to show for it although that small sample is less pertinent given only 27 of his 63 major league games were ones in which he started. His last two seasons in Triple-A have offered up a .275 average, an impressive .376 OBP and 17 homers across 151 games. Kelly is currently the 32nd catcher drafted in live NFBC drafts (through 78) and has an ADP of 467th, although in drafts since the trade he’s got an ADP of 411th. In two catcher leagues, Kelly should get enough playing time to be a decent option as your second catcher and in leagues where you carry a large roster, he’d be a nice bench option for the catcher spot but the realistic best output you can expect is a .270 average with 8-10 homers over 450 plate appearances. In dynasty leagues or ones which count walks, he’d probably be bumped a little higher but still not enough to warrant consideration in one catcher redraft leagues. That being said, if you don’t get one of the top tier catchers, I wouldn’t begrudge anyone taking a flier with Kelly with the last pick. Next up is Luke Weaver, the young right-handed pitcher who went from highly touted potential breakout star in 2018 drafts to fantasy bust by season’s end. The move to Arizona isn’t ideal as regardless of the impact the Chase Field humidor has (too early to determine definitively), Busch Stadium was significantly more pitcher friendly than his new home. Weaver’s 2017 call-up saw him throw 60.1 innings over 10 starts (3 relief appearances) and compile a 3.88 ERA and 72 strikeouts. The reason so many people saw a 2018 breakout is his numbers actually showed he could’ve had better results, with a 3.17 FIP. So maybe his 2018 ERA of 4.95 over 136.1 innings (25 starts) and August demotion to the bullpen was due to bad luck? Sadly, they weren’t. Weaver’s numbers did plummet and while his 2017 was legit, so was his 2018. He did support a 4.45 FIP in 2018 which says he wasn’t as bad as the ERA suggest but that’s still 1.28 greater than 2017. His strikeout rate went from 28.6% to 19.9%, his walk rate went from 2.54 to 3.56 BB/9 and his hard contact rate went up by 10%. To conclude, he was striking out fewer, walking more and getting hit harder. He didn’t have a loss in fastball velocity either (in fact it went up 0.5mph) and other than a slight drop in fastball usage, his pitch selection was the same too. New coaches and new scenery might help Weaver get back on track and being 25 years old means he has plenty of time to work things out. Currently the 122nd pitcher going in live NFBC drafts (through 78 drafts) with an ADP of 313th, Weaver was going in drafts as an SP2/3 last year which emphasises the drop. At his current price, I’d certainly be tempted to use a late round pick on him with hope more than expectation that he finds his 2017 self. Even if his ERA nears his average FIP from the last two years and his strikeout numbers head back north, you could do a lot worse than a 3.90 ERA & 140 K’s pitcher with a 24th round pick. Last but certainly not least, is Paul Goldschmidt, who probably needs fewer analysis than anyone else in this trade. The 20 stolen base days could be well and truly gone, but there’s nothing to suggest a 30 homer, 10 steals, .300 average won’t occur. 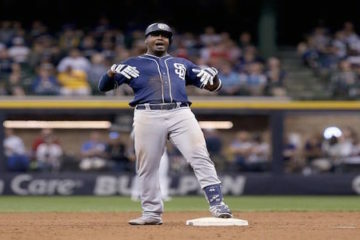 He’s still going as the no.1 first baseman in drafts and although the drop in steals mean he’s no longer considered a first rounder (NFBC ADP is 20th), first base isn’t as deep as you may think or has been in past years so using an early second round pick or even a late first rounder on Goldschmidt is very reasonable.